Aquarius and Leo is the case of “opposites attract”. Since they are opposite to each other, they can be charmed by one another easily and yet at the same time it is really quite frustrating to be with each other. Leo is personal and has creative expression of the self, while Aquarius is more concerned with group process. A Leo man is full of strength and resilience. He is noble and quite affectionate as well as generous with his time and money towards his dear ones. He is person who is always attentive, watchful and always prepared to take things head-on. He is not humble or passive in any way and although he is not cruel, he never steps back when controversy arises and always strives for victory. He does not waste his time on frolicsome matters, but he steps up with full enthusiasm if he feels the need to and always shows his love towards his mate. An Aquarius woman is soft spoken, demure and unstable lady with a friendly and kind manner. She is a bit careless and more of a dreamer who does not pay attention to anything specific and wants serenity. He calm and peaceful nature causes her to appear quite composed and docile. However, she is very prone to turning around and bursting a cloud of tears and emotions without much as a word of warning. In a relationship, Aquarius woman likes to be coaxed by her lover. She could care less about her man’s opinion, but if he encourages and supports her, she turns out to be a great mate and best friend. A good relation may develop if a Leo man will respect her liberty and discreteness and she has to understand his need for intimacy. The compatibility of this love match works well due to their strong physical nature. Their unique talents may encourage them to cherish the great moments of life. A Leo man is concerned about himself whereas an Aquarius woman is worried about the problems of the world. This combo will work if they adore each other. The relationship has a good start but may end up in to a whirl. There is an appeal in the cool and calm surface of the Aquarius woman which attracts the warm Leo man. He needs an abundance of affection, cordiality and compassion, whereas she can seem somewhat uninterested and disconnected. Due to differences in their qualities, argument will arise between Leo man and Aquarius woman, but will end differently than most relationship quarrels. Aquarius female, being easy to make friends of both sexes, have to be careful not to upset her Leo male. He is not one for being second in line. Leo man seems to need constant affection and if he doesn’t get it he tends to become fearfully miserable. He refuses to openly admit such needs to his Aquarius woman but she tries to shock him whether he shows it or not. They need more patience and tolerance toward one another to make the things work in their relationship. 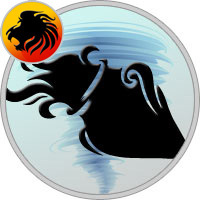 The strong personality of Leo man impresses the Aquarius woman to the depth of her heart. Any man can get troubled by Aquarius woman’s odd behavior, but the Leo man is one who is patient and usually pretends that he did not notice. He never lets on that something is catching him off guard. He is never unprepared for anything and she is no exception, or so he often let on. To catch the Leo man off guard is a very rare occasion. He knows everything that pertains to the logical and if he has any sort of question about something, he simply doesn’t bring it up until he has assessed the questions he has and develops the answers needed to appease him. Their relationship together is refreshing and always motivated by travel, projects and different things they do together. The precious gift of unconditional love comes gracefully to the relationship of Leo man and Aquarius woman once they decide to be together. He gives up his insecurities to understand the needs of his Aquarius woman and sets her free while she starts understanding the needs of her Leo man and become more expressive and warmer towards by showing love and spending more time with him. They are not only physically attracted to each other but they also admire and respect each other’s personality traits and always feel complete in each other’s company. He always knows how to bring warmth to her life and she always knows how to make things more interesting and adventurous. Whether it is a green meadow or snow capped mountains or a sea beach, they can always have some romantic moment and exciting plans to keep up their spirits and let the music of their love play! Leo man and Aquarius woman has one of the freshest and sweetest mating among all the zodiac signs. They can solve almost every issue in their bedroom where she is no more an opponent of him rather she is a mate who is ready to surrender to his love. Leo man and Aquarius woman have extremely strong connection which is a blend of mental, emotional and physical passion. Their love making is more a kind of old style romance where surrender of body and soul makes a perfect way of expressing love for each other. Though Aquarius woman is fizzy and dreamy in her mind but once she is in the arms of her Leo man who has extreme emotions for sexual desire, their all arguments and differences turn into moments of passion. Aquarius woman is warmer with her Leo man bringing out the best of her wholehearted involvement which she is capable of giving to their physical union. Each time they meet intimately, they renew their longing for each other and culminate with the consummation of unspoken needs. The opposing views in this Leo man and Aquarius woman relationship are sometimes vast. Since they are both stubborn, this can add to the tension through times when she gets irritated by his arrogance or he tends to pout when he is not receiving the attention he so deserves. If they both make an effort in adding some serenity to the vibes that are so aggressive they can have a well rounded and strong unity. They can both learn some very important qualities from each other. Leo man can teach his Aquarius woman about self control and she can, in turn, show him that he doesn’t need to be so proud with his chest all puffed out all the time. With a little patience in each other they can have a strong relationship that is both aggressive and passive equally. The result of this is a lot of strong minded and positive ambiance throughout the relationship.